What KW output do I need for my Stove? Stoves are a great addition to any home, they offer high heat performance and can dramatically save you money on your energy bills. Stoves are built to last and will be an investment piece that will work for many years to come. 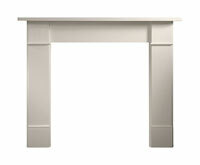 Stoves are also highly attractive and suit many home décor styles. 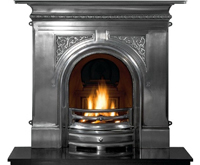 Stoves are commonly used to give a rustic and timeless look to houses. If you are considering buying a stove, there are many factors to consider. Our stove buying guide complete with our stove calculator will help to make your stove purchase simple. This guide looks at fuel types, size and regulations that you need to consider before buying a stove. 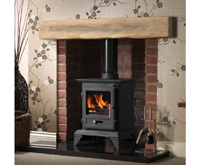 Wood Burning (Log Burning) Stoves – Wood burners are considered clean and efficient and have a high heat energy output, but they require a safe, working flue. Commonly wood burning stoves burn more efficiently than multifuel stoves. Wood burners are carbon neutral and are generally an eco-friendly choice. People are often surprised by how much heat a wood burner emits and often buy a stove too big for the room (use our stove calculator to find the right stove for your room). Wood stoves require a store of logs that can take up a lot of space; logs also need to be well dried which can take a lot of time. Pellet Stoves – If you don’t have space for firewood storage, then a pellet stove is ideal as pellets come in manageable bags that are easy to store. The pellets burn more efficiently than logs and use up material that may have otherwise gone to landfill. Pellets also produce less ash than logs which makes cleaning easier. Pellet stoves do produce more carbon than logs and are less eco-friendly. 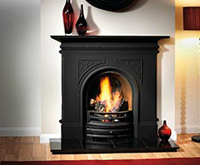 A pellet stove is likely to require more maintenance that a wood burner. 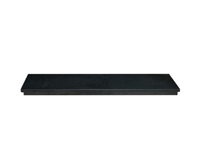 Multifuel Stoves – This type of stove comes with an internal grate to allow you to burn wood, coal or smokeless fuel. It is important to remember that coal is a fossil fuel and releases a lot of carbon dioxide when it is burned which is bad for the environment. A multifuel stove is ideal if you don’t have a consistent fuel supply and need the flexibility to change to a different fuel. Multifuel stoves may not be optimised to burn all fuel types equally, so it’s important to think about your predominant fuel source. Gas Stoves – These are a clean burning alternative that emits less smoke and are better for those who suffer from respiratory problems. Gas is a fossil fuel (non-renewable) which makes it less eco-friendly. Gas stoves require less maintenance and are simple to operate. Most stoves require a chimney to burn the fuel safely. Homes that don’t have a chimney may still be able to install a stove but will need twin wall flue components. If you need any guidance about your chimney or the fact that you don’t have one, speak to a member of our team who will be happy to assist you. Some areas of the UK are classed as smoke controlled areas particularly cities and built up areas. To find out if your home is in a smoke controlled area, contact your local council. If you do live in a smokeless area, you will need an approved stove to be able to burn certain fuels, such as wood, there. Smoke Exempt and DEFRA exempt stoves are products that have been cleared to burn in smoke controlled areas. If you do not have a DEFRA approved stove, you can only burn authorised fuels as permitted by your local council, however, if your stove is DEFRA approved, you can fit a stove and safely burn wood in the smoke controlled area. If you plan to heat the whole of your home or have an open floor plan, you will need a large stove. If the stove is too small, you will not feel the warmth and the benefits of your stove will be lost. If the stove is too big, it can quickly overheat your space. People who opt for a large stove often burn fire slowly so as not to emit too much heat; this technique is dangerous as slow burning wood produces more creosote, which can cause build-up in your chimney and can cause fires. For the right size stove, it’s important to look at the stove output. Our handy stove calculator helps you to choose the right stove based on the size and the type of room you want to heat. To use the calculator, you need to measure the length, width and height of the room and input these numbers into the calculator. You then need to decide on the appropriate insulation for your home. Poorly insulated – Refers to homes built before 1950, and/or is a home with many draughts present. Moderately insulated – is a home with double glazing, typically build in the 1990s. Well insulated – refers to homes built after 2008, when compulsory heating standards were introduced. Once you have calculated the size of your home and determined the insulation properties, the stove calculator will then generate an output in kilowatts (kW) so that you can find the right stove for your heating requirements. 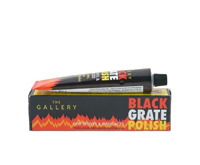 Based on your output kW score we’ve categorised a few products for you to choose from. If you have any other further questions about your output requirements or stove choice, please get in touch on 01773 749060.